The best aspect of wanting to be an artist is that you have plenty of choices and this includes many categories of art that require no more than a lot of skill, know-how and the willingness to get down and dirty enough to do the hard work. It is not always necessary that you need to possess raw talent to do create beauty and if you do not believe us then look at gardening. Gardening is an art that allows you to be creative and also be the creator of something really pretty and does not necessarily need raw talent as one would have to have if you were to become a painter. You can also spread your artistic endeavors to include stylish garden chandelier ideas if you are so inclined. And with the gardening tips for beginners that we are about to give below, we are sure that you will find gardening even more of a joy to undertake. 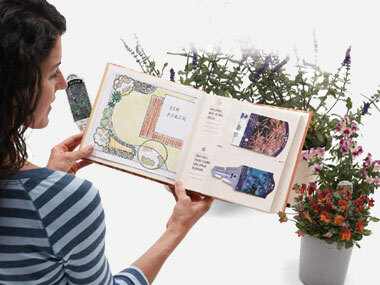 We also feel that you should research all about gardening to learn as much as you can about gardens and gardening. Do take some time to look at pretty and pleasant public garden designs to please you as these will give you valuable insights on what can be done and the true potential of gardening. And if you want to garden but have the paucity of space, then you should definitely look at smart mini indoor garden ideas even as you go through the gardening tips for beginners that we have given here. Create a garden portfolio: It would be good to keep a record of your garden listing out the seasonal planting you have done along with the way they progressed. Add pictures also if you feel they are needed and you will find this very useful going forward. 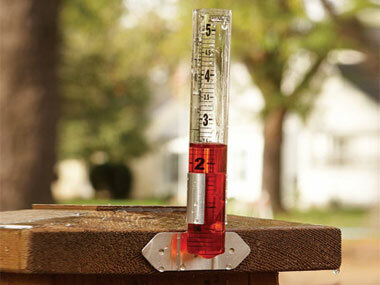 This can also help with keeping track of the watering needs of your garden. If you know how much and when your plants require water you can then install a sprinkler timer to ensure those needs are being met without you having to think about it on a daily basis. 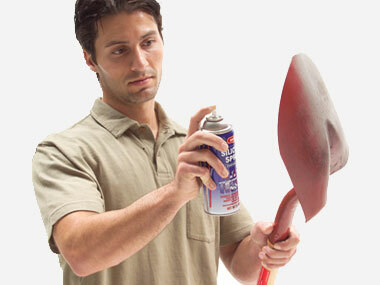 Make your shovel non-stick: A good idea would be to spray your shovel with Teflon coating or some such coating to make it a no-stick shovel making it easier to clean and use as well. Make those pots lighter: We often find that shifting pots around because they are heavy and this could deter your gardening efforts. 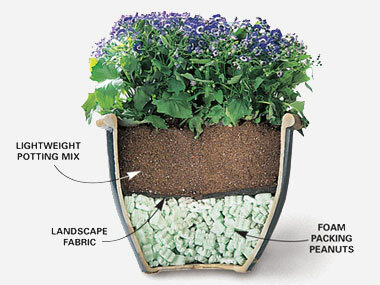 A good way to ensure that your pots are lighter is to pack the bottom portion with packing peanuts and then fill in the soil making the pot lighter to carry. Transporting plants: When you have to take your potted plants around in your car, both the potted plants as well as your car suffer. To prevent this, lay a sheet on the seat of your car and place a ladder on top. 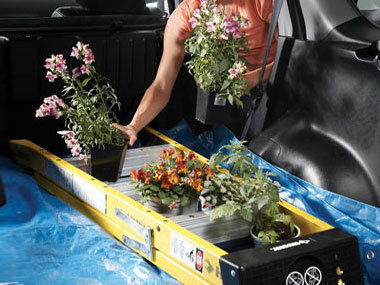 Place the plants between the rungs of the ladder to prevent movement and save the car as well as the plants. 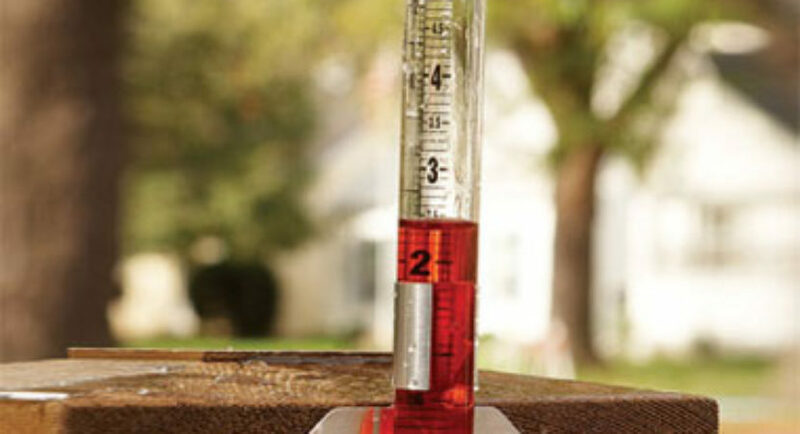 Rain gauge improvement: Add some food coloring to the bottom of the rain gauge which will convert the color of the water in it when it fills up making it easy to read. Control aggressive plants: You can prevent certain plants that tend to be aggressive and take over the garden from doing so by planting them in a plastic container. 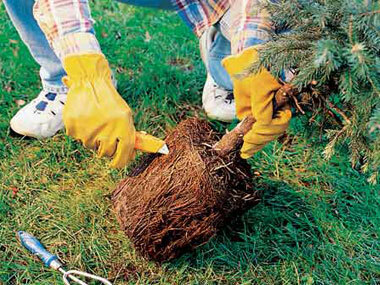 You can cut the bottom out with a knife to allow for growth without it overwhelming the other plants in the garden. Help the root restricted plants: When you plant some plants in the pot this tends to make their roots tangled and this prevents the movement of water and nutrients to the plant. You can help such plants by guiding the roots with your hands or with the help of a knife. 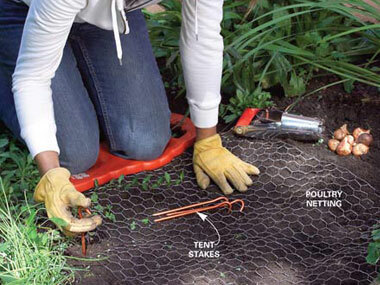 Protect the bulbs: Place a netted barrier over the bulbs that are plagued by garden pests to protect them. In the spring season, you can cut out holes to let them grow out. 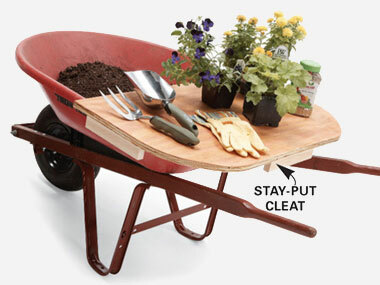 Upgrade your wheelbarrow: Place a bit of plywood over the top of your wheelbarrow to make a convenient shelf to carry around pots or even repot if required. 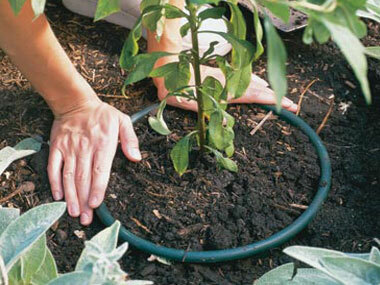 This will help ease your gardening efforts by keeping everything within easy reach. 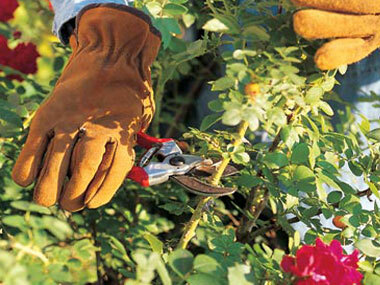 Prune your roses to perfection: You will find that pruning roses to help the center of the flower open up to the sunshine will reduce the instance of roses that do not have spots or blights on them by keeping the moisture out of flower.